Most entrepreneurs are risk takers by nature. BOCO, with our abundance of high-risk adventure sports and startup friendly climate, has beckoned those wanting a little more out of life and business. That’s why so many businesses that start here go on to be behemoths. 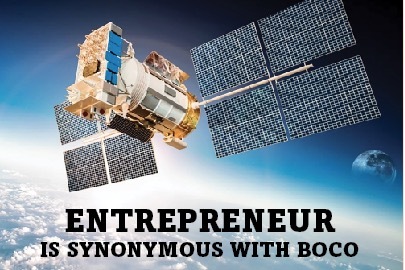 Which businesses and entrepreneurs have become synonymous with BOCO? And why? Over the last 50 years, the economic landscape of Boulder County has shifted. While employment was largely driven by agriculture, petroleum, and mining before, it is now dominated by high-tech industries like bio-science, aerospace, IT, and natural foods production. One thing that’s always been consistent though, has been the region’s desire for local businesses. It’s been around since Boulder started, the unique landscape often drawing personalities with a mind for high-risk adventure. Justin Gold was one such individual. Gold came out to Colorado, enticed by the mountains and a proclivity for an active lifestyle. Justin’s Nut Butters was born. Colorado, as a whole, has been one of the startup leaders nationwide, which has contributed to the state’s economic prosperity. Formation of new businesses is important to economic growth and gains in employment, according to the 2018 Colorado Economic Impact Study. Startups are critical to Boulder County’s economy. Although large businesses employ more people, younger businesses typically add more jobs year-over-year compared with their older counterparts. Newer companies tend to have an inclination toward innovation, which generates greater productivity gains as they continue to grow quickly, which leads to more economic development, the study said. Unlike other startup cities, the Boulder market is amicable, and willing to help, which really fosters this environment of creativity and generates support for businesses just starting out, Berk said. Justin’s was bolstered up by the Boulder community and given opportunities he said he wouldn’t have necessarily had elsewhere. When he started producing for more than just his family and friends, he used a salsa making facility in Denver to package his nut butters while waiting tables. The guy who invented that circular suction almost all of us have on our phones, began with a Kickstarter campaign and ran his company out of his Boulder garage – a familiar startup tale. The community weighed in and helped. David Barnett, the founder of PopSockets, found he too had a lot of support from his community. He now employs between 50 and 200 people between the Boulder and San Francisco offices. What began as a way to wrap headphones around a phone has become an international company making millions, many of it feeding into our local economy. “It’s an ecosystem,” Berk said. There are incubator programs, accelerator programs, crowd-sourcing, and loans available to BOCO entrepreneurs serious about taking their idea to market. Justin’s received the first Whole Foods Market’s Local Producer Loan in the Rocky Mountain Region to expand production and take the company to the next level. And now he gives back to others. He recently spoke at the CU Entrepreneurship initiative to share his experiences and give young people advice. They are the future of BOCO business after all. He also co-created and became the founding member of Whole Planet Foundation’s Microloan-a-Month Fund. Each month, Justin’s gives a microloan through Whole Planet Foundation to an entrepreneur in the developing world, according to his website. And while some may look at Boulder’s entrepreneurs as a bunch of longhaired granola crunchers (which many proudly are), BOCO is also home to some of the biggest names in tech – places like Zayo and Ball Aerospace – and ranks second only to Silicon Valley with the amount of tech talent. One of the Ball Aerospace founders was CU graduate R.C. (“Merc”) Mercure. Ball Aerospace is a subsidiary of the Ball Corporation – the same company that makes your favorite mason jars, as well as other products. Ball Aerospace was one of the first private companies in the country to have contracts with NASA. This was after the government had ordered sophisticated rocket pointing controls from researchers at CU, in which Mecure was one. The University plays a role in entrepreneurship, but hasn’t tapped into it until recently, Berk said. The university connection played a role in the beginnings of Ball Aerospace, which began in the 1950s, just at the beginning of the space age. It produces space systems engineering products, telecommunications technology, and electro-optics and cryogenics materials for government and commercial customers. Mercure and other researchers began engineering revolutionary space equipment at the university labs. As many entrepreneurs do, Mercure then got involved with helping others create new businesses and new inventions and went on to found Colorado Venture Management Inc., a company that managed several venture capital funds as well as developing and managing several electric co-generation plants in Colorado. After returning to CU for a while, the entrepreneurial bug caught Mercure again and in 1996 he and a few other partners founded CDM Optics, Inc., which was sold to OmniVision Technologies, Inc. almost ten years later. That’s just the spirit of Boulder, of entrepreneurship. And it’s something the county has always recognized, putting practices and legislation into place that would pave the way for local businesses. Economic development initiatives in Boulder, Lafayette, Louisville, and Erie work to provide businesses with connections and economic support as well as bring new businesses into the region. The Boulder Small Business Development Center Network holds informational training sessions and have consultants for small or starting businesses to help them manage marketing, business plans and more. Businesses like Ku Cha House of Tea, Altitude Spirits, and Boulder Best Organics have all benefited from the support of the SBDC. However, some business owners say that Boulder County, and the city of Boulder specifically, have imposed some regulations which make it harder for businesses. Regulations on energy efficiency, zoning, and land-use can often drive up costs for first time and small business owners. Those regulations are often meant to discourage development, which many think has gotten out of control on the Front Range due to the influx of transplants. Because of its booming economy, creative atmosphere, and beautiful landscape, Colorado has seen an influx of highly educated young people, especially in Boulder County which is home to both a large university and community college campuses. It has contributed to Colorado having one of the highest educated populaces, second only to Massachusetts, which means there is plenty of talent to choose from. And while that may seem like a good thing, it has lead to some slowing of wage growth, mostly affecting young workers, millennials between the ages of 22 and 35. Boulder County has recognized its unique position in the country, and local government’s willingness to take a long-term view has played an important role in the entrepreneurial environment that exists today. “The idea is that if you get a bunch of people together who are all participating and putting their energy into the system, then lots of good things will start to happen,” he wrote. And because of that philosophy, Boulder County has thrived. It’s the active community that continues to generate new opportunities for entrepreneurs starting at the university level. The CU recognized a few years ago by creating the CU Innovation & Entrepreneurship Initiative. “We want to engage and expose people to all opportunities that will lead them to more opportunities, provide seed funding and interdisciplinary supports. We have this amazing start-up environment and we want to lead our students to connect and break down barriers,” Berk said. The school has funding from private and public donors to help young entrepreneurs get off the ground without as much risk behind it. Although the percentage of entrepreneurs who follow through is actually quite small. But being surrounded by other creative people feeds the system. Boulder has one of the highest ratios of patents applied for per capita in the country between 2007 and 2011, according to the Brookings Institute. “Boulder has a lot of great things going for it that brings out the best in people. The mix of freedom and beauty in the outdoors inspire creativity, the university setting promotes intellectual discourse, the active lifestyle promotes risk taking, while the 300+ days of sunshine inspire positivity,” Gold said. And many think it’s just the beginning for Boulder, as bigger companies, known for their innovation and hip work environments are drawn to what the community has to offer. What entrepreneurs like Mercure and Gold and many many others have built is an ecosystem of entrepreneurship with many support resources ranging from programs like the ones at CU, to venture capital and angel investor networks and accelerators, incubators, and coworking spaces. And our local governments are in on the ecosystem too, because they recognize that entrepreneurs create strong, diverse economies and so provide networks for local small businesses to thrive. Our economic strength is in large part due to our ability to attract and encourage new businesses, which has been a driving force of growth for our communities.